Want to see how easy it is to install BbRadio on your smartphone? Here we show you the steps in less then a minute. With BbRadio you have unlimited distance and unlimited acces and connections you can make. Want to have a group of 30 PTT radio’s? No Problem at all! With the Zello app you can communicate with selected user from the app all over the world. The solution to PTT Walky Talky that promise 1km reach is done. We do not have a limit. How about that? You only need a smartphone to connect to. And talk to people connected to the other side of the world. You only need Zello App on your smartphone and acces to 3G or 4G network. You can use the device as a carkit, pick up phonecalls or even listen to music. It’s all possible with this little device. 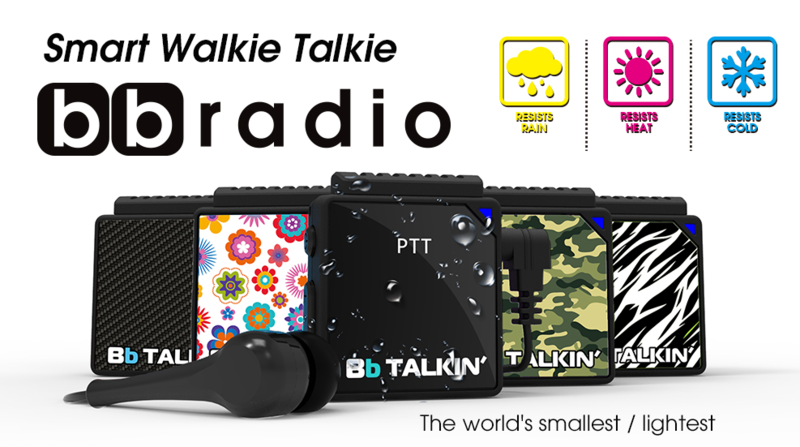 Take your BbRadio with you when you go hiking, snowboarding, skiing, mountain biking, ride your car etc. etc.